The TZ3 Corsa is a track car. It is not a design exercise. It is a Classic car. The TZ3 Stradale is a Design Exercise. It is not a race car. It is an Avant-garde car. The TZ3 Corsa is a tribute to the Alfa Romeo and Zagato racing heritage. It is a one off. The TZ3 Stradale is a tribute to the Alfa Romeo and Zagato street legal heritage. Just 9 examples in the world. In total 10 collectible cars for the 100th anniversary of Alfa Romeo made by its most prolific contributor, both with race and road legal bodies. The TZ3 Corsa is based on a mono shell carbon fibre chassis, coupled with a tubular frame and a handbeaten lightweight aluminium body. It’s equipped with a front-central V8 90° 4.2 litres engine and 6-speed sequential gearbox. The TZ3 Stradale is based on the Viper ACR mechanical chassis with a carbon fibre body. “Bellezza necessaria” is the inspiration of this car which matches for the first time an USA power train and can represent the first American Alfa Romeo. Following Zagato’s gentlemen-driver heritage, TZ3 Corsa has been commissioned by the Alfa Romeo Zagato collector Martin Kapp. 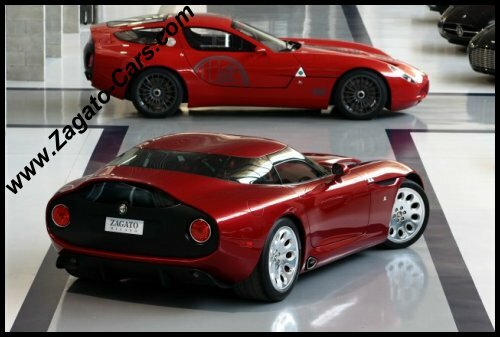 The first TZ3 Stradale has been delivered to the US Alfa Romeo and Zagato collector (and Saratoga Automobile Museum’s board member) Eric King. The TZ3 Stradale n°2 and n°3 will be delivered in Japan and Europe. Both TZ3 Corsa and TZ3 Stradale boast a typical Kamm-tail (K-tail) layout. 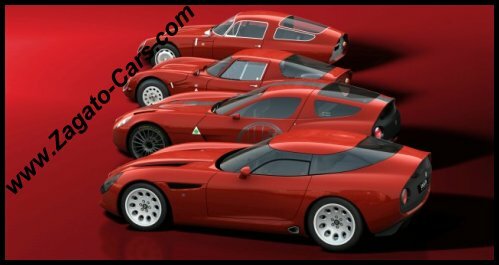 This solution became famous in Italy with the “Coda Tronca” bodies which were tested by Zagato in the beginning of the 60s. 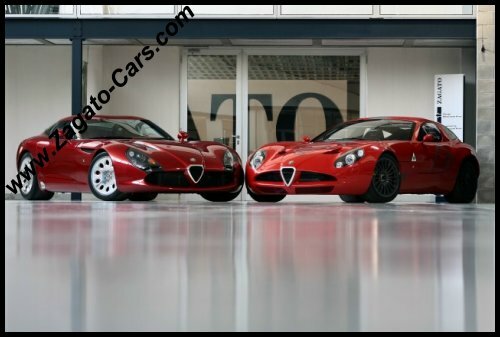 They reached their apex on the Alfa Romeo TZ and TZ2.